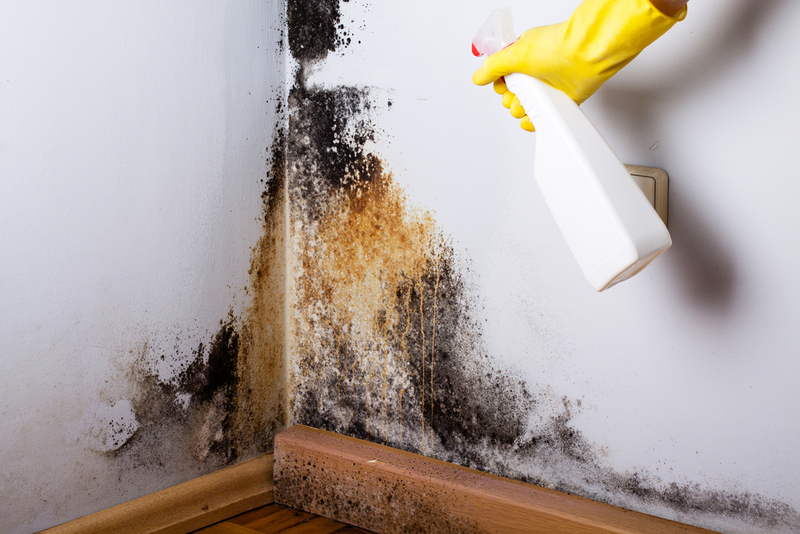 If you discover a mold infestation in your home, you no doubt want it removed as soon as possible. In some cases, you can do the cleanup yourself. In others, it’s wise to enlist the services of a mold remediation company. After all, exposure to mold can lead to a wide variety of unpleasant symptoms, from headache and light sensitivity to weakness and fatigue. But how do you know whether to grab cleaning supplies or reach for your phone? Here are some rough rules of thumb regarding the stages of mold infestation. Mold infestations of this size you can handle yourself. Just be sure to follow safe cleaning practices, such as wearing gloves and a mask or respirator, keeping people especially susceptible to the effects of mold (infants, people with suppressed immune systems, etc.) away from the area, and cleaning or discarding materials you use in the process. While still a project you should be able to handle, you will want to take additional safety precautions including vacuuming the area with a HEPA filter-equipped vacuum when you complete the cleaning process. You should also be especially careful when removing mold covered materials, as the sheer quantity will make it more likely that you can contaminate other spaces as you move through the house. To put this area in perspective, we’re talking about mold patches on multiple walls in a room. This begins to reach the outer limits of what is advisable to tackle on your own. Again, safety precautions are critical, as is patience and an understanding that this project will take some time to complete. An infestation of this size will likely require the assistance of a mold remediation company. At a minimum, you should consult with an expert to get an opinion on the best way to handle the problem. If you ultimately choose to take it on yourself, you should be extremely cautious. This means HEPA respirator, disposable protective clothing, sealing of ventilation ducts, etc. Infestation of HVAC systems goes beyond any system of square footage assessment. These situations should only be handled by a qualified professionals. Failed attempts at remediation can free large quantities of mold spores into ventilation ducts and cause a widespread problem. The stages outlined above provide good guidelines for gauging your mold infestation. But if you have questions or decide you need mold remediation assistance, don’t hesitate to call JMC Contracting.